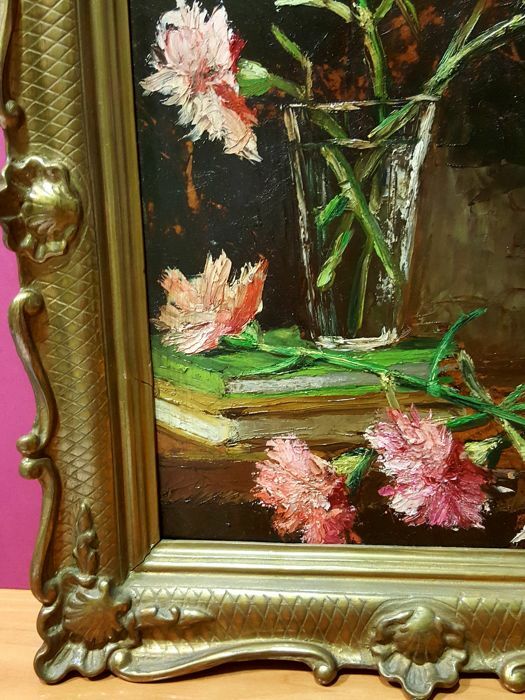 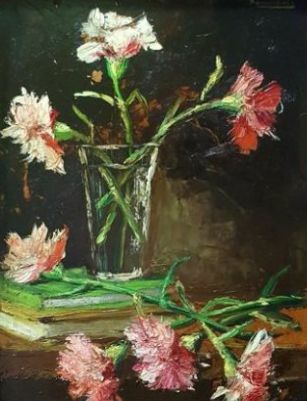 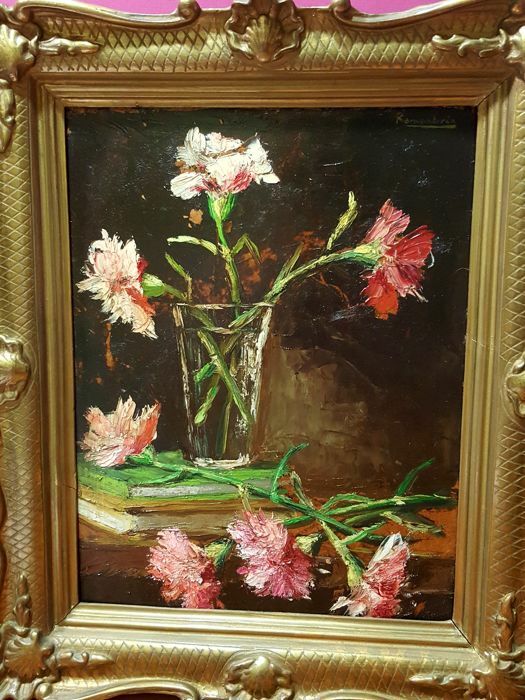 Carnations and books Still life. 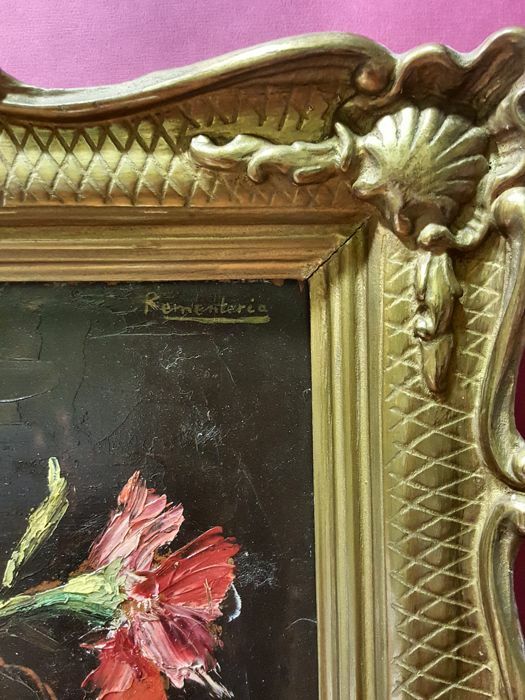 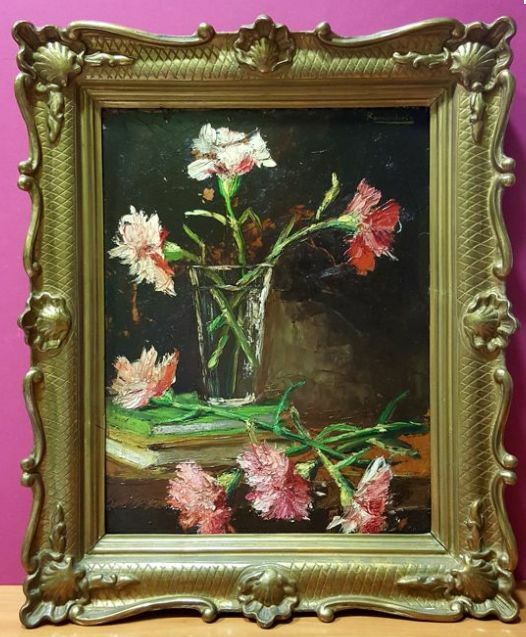 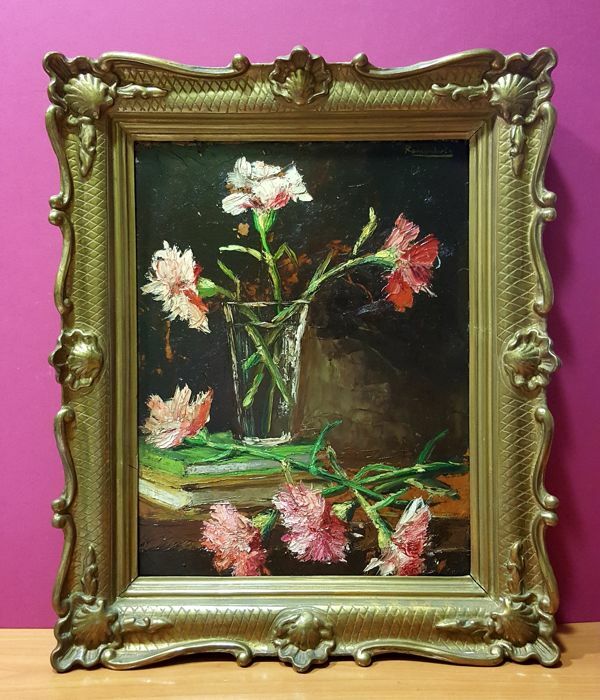 Oil on panel with frame. 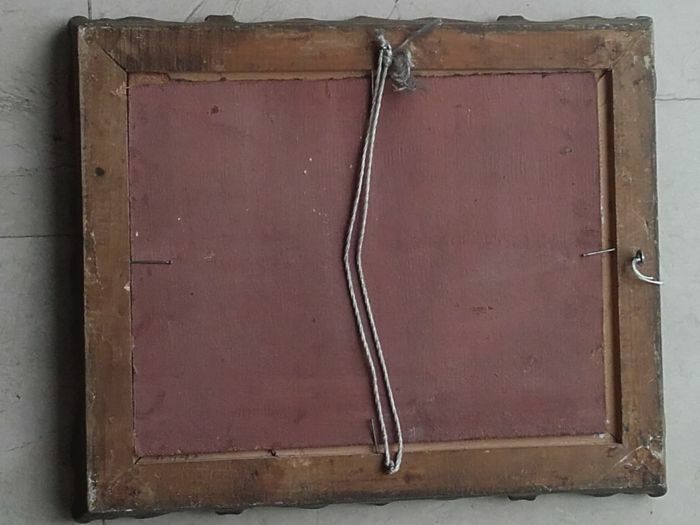 Dimensions with frame: 45x37 cm.